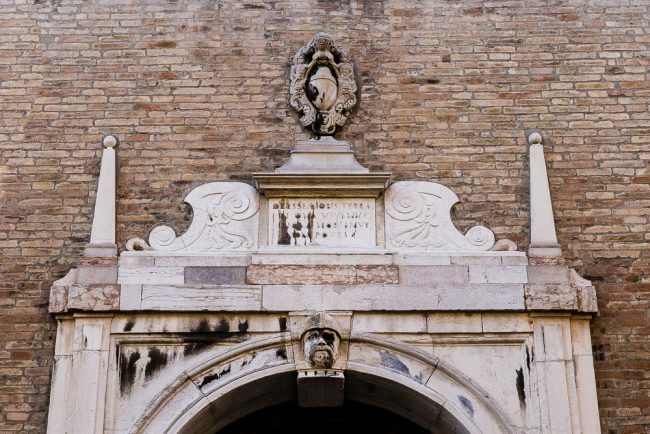 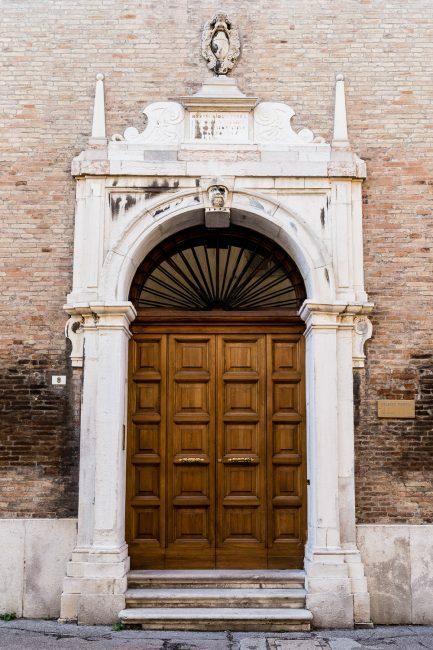 Refined face brick palace with Renaissance plinth and portal where, above the attic, between the scrolls and spires an inscription can be noticed which is part of the coat-of-arms of the Preti Pompili family to whom the palace belonged. The moldings, the architecture and the double storey might suggest that the building was carried out by people from Ferrara. 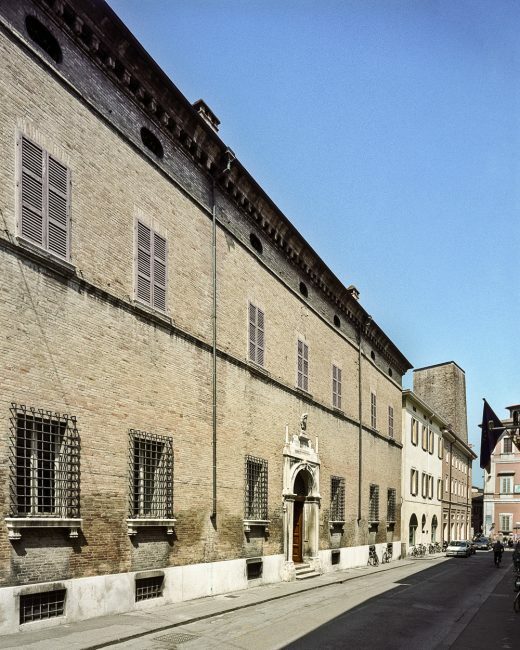 In the 19th century the house was owned by several until it went to Serafino Ferruzzi (1908-1979) that made the house the seat of his business.